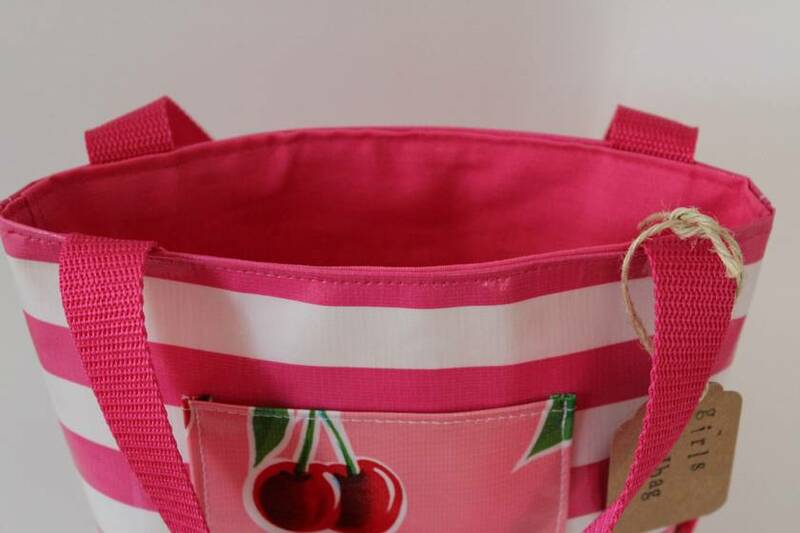 Gorgeous little bag - perfect for a little girl to carry her precious things in. 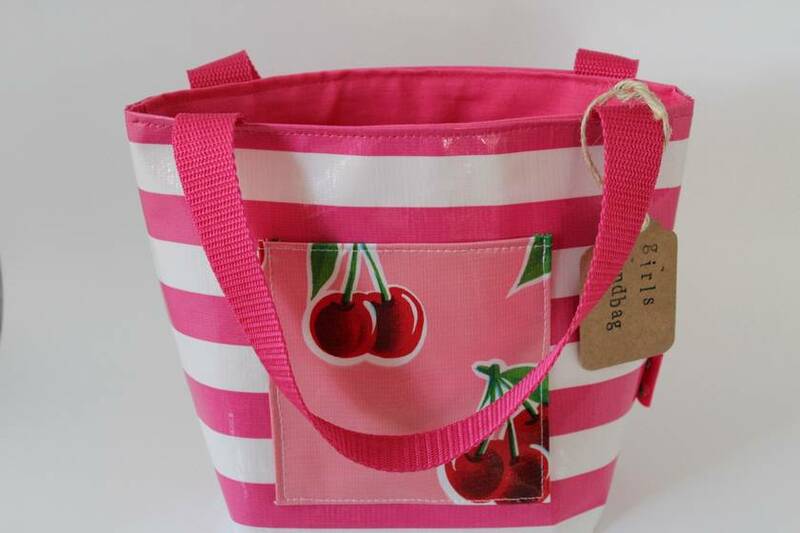 Made with bold pink and white striped oilcloth with a red cherry pocket. Contact cathddesigns to enquire about payment or shipping options.